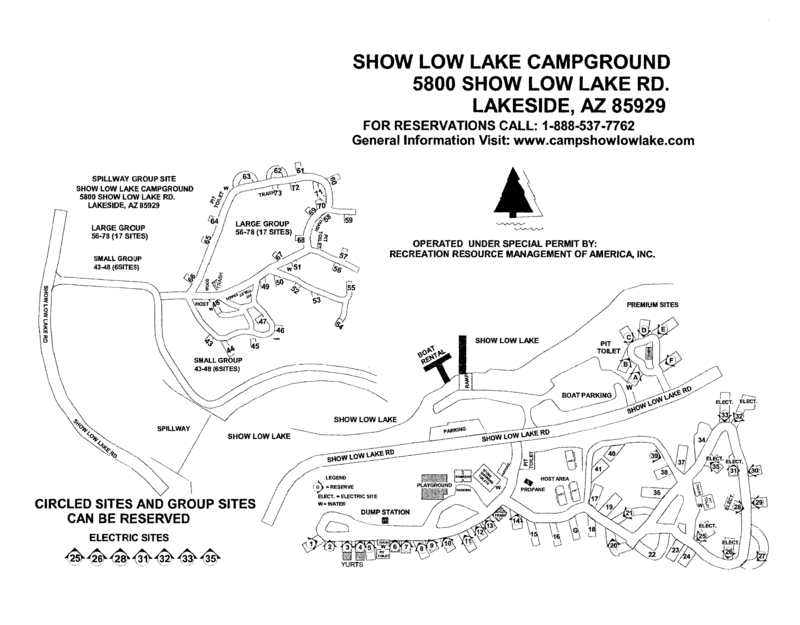 The local urban area around Show Low Lake provides many additional activities and amenities to keep everyone happy during your stay in the White Mountains. You are just minutes away from over 50 restaurants if you want to taste some of the local flavors. And if you want to take a break from camping, there are also over 55 motels and bed and breakfasts within a 15 mile radius. Local activities include several local golf courses, two multiplex theatres, miniature golf, go-cart track, horseback riding, indoor public aquatic center, racquetball and tennis courts, lots of shopping, as well as several arts and crafts festivals throughout the year. If you want to keep to the beautiful outdoors, take advantage of the White Mountain Trailsystem, which includes 25 to 30 different hiking trails throughout the area. There are also additional lakes and streams just waiting to be explored.